Floyd Mayweather might be able to swing a mean punch and be able to hold his own physically. But when it comes to 50 Cent, and mean words on the Internet he's certainly got himself tied down. There's no doubt that if the battle was placed over a Mic 50 would win, and if things got physical Floyd would win. On Instagram though? They're on an even playing field. For the last few days the two had been bickering and fighting one another, and there appears to be no end in sight as things keep getting uglier and uglier. Earlier today, 50 shared legal documents filed by Floyd's son about a domestic abuse incident, hitting the man where it hurts. It seems 50 isn't done though, bringing his hit show "Power' into the equation by suggesting that Floyd wouldn't be able to get a role on the show since he can't memorize his lines. Making fun of the man for his inability to read. 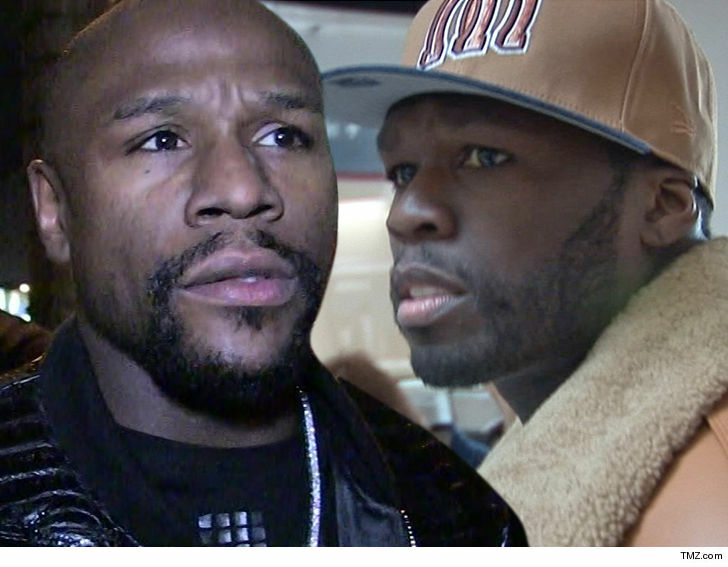 Who knows how Floyd Mayweather will respond, or whether he will respond. One thing is for certain, that was a low blow by 50, so it remains to be seen whether Mayweather will take the high road or the low road.